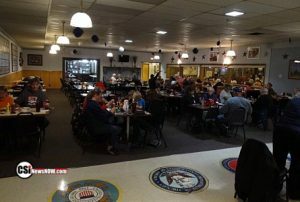 Jamestown (CSi) The Jamestown All Vets Club will host the Vietnam era veterans Christmas social starting at 5:30 p.m. Friday, Dec. 7. A dinner will follow at 6 p.m. All era veterans and guests are encouraged to attend this annual event. For more information, contact the club at 252-8994.